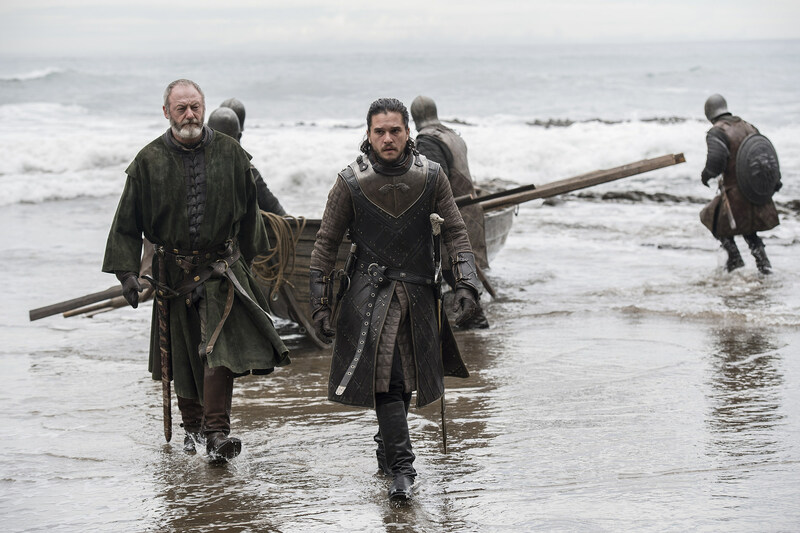 Perhaps no Game of Thrones crossover will prove so anticipated as that of Jon Snow and Daenerys Targaryen (maybe Hot Pie and the Night King). 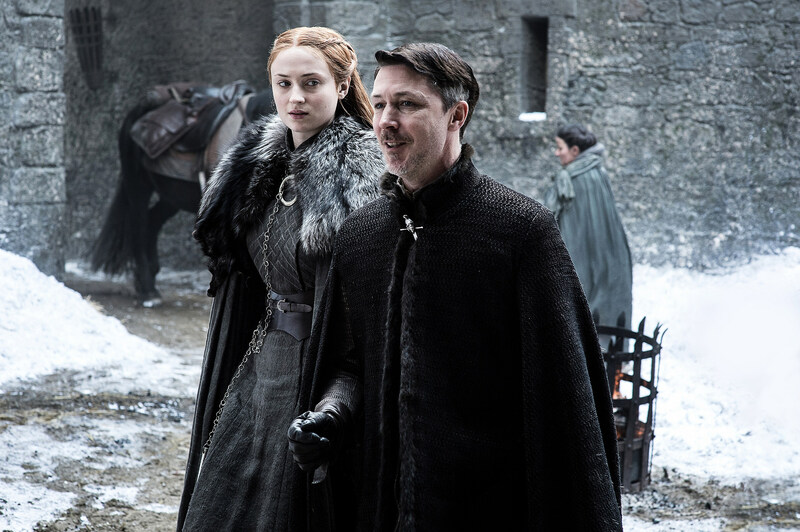 Either way, the moment is finally going down in new photos from this coming Sunday’s “The Queen’s Justice,” while things are getting a bit chilly for Melisandre. 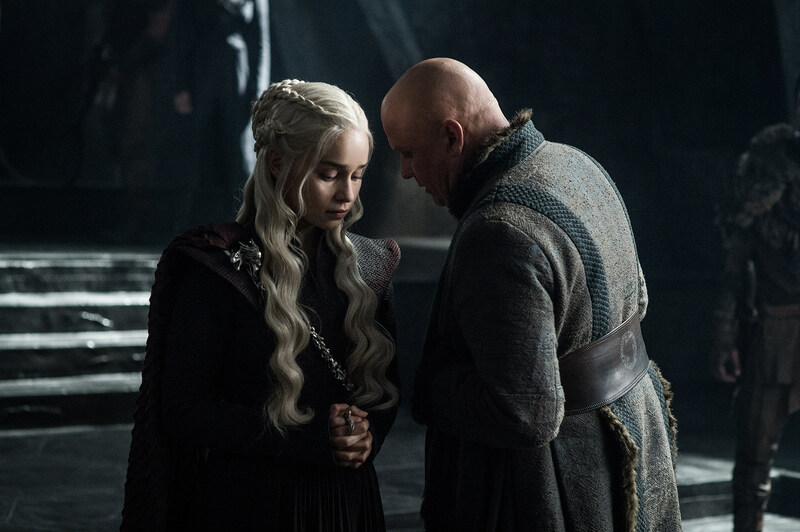 Neither the initial promo nor the new photos show us Jon Snow and Daenerys sharing the frame just yet, but it’d be pretty hard to side-step Jon standing in her Dragonstone throne room with Davos. 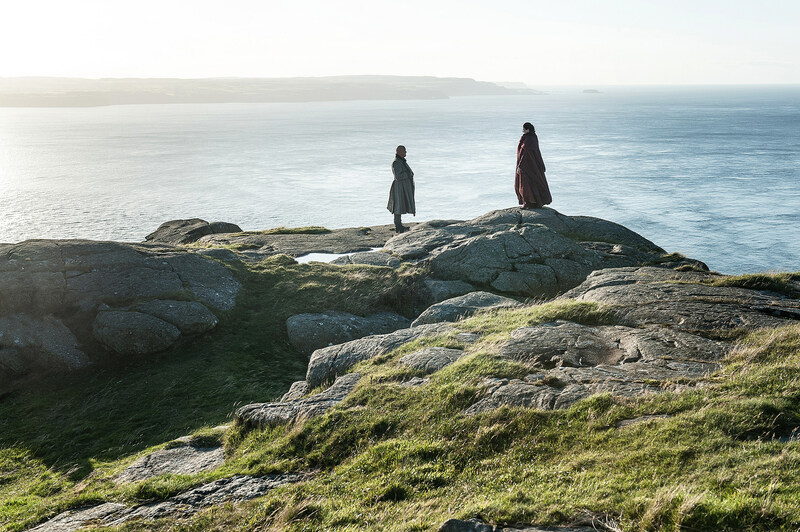 At the very least, Melisandre knew to make herself scarce, lest she come face to face with Davos again to make good on his threats last year. 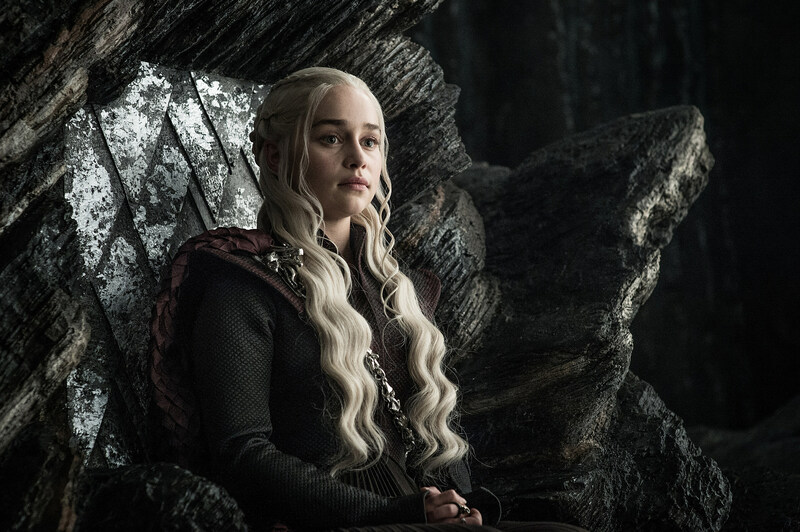 Granted, the meeting of Jon Snow and Daenerys doesn’t abate the problem at hand, and Dany won’t be too pleased to hear her burgeoning Queendom made moot by ice zombies. 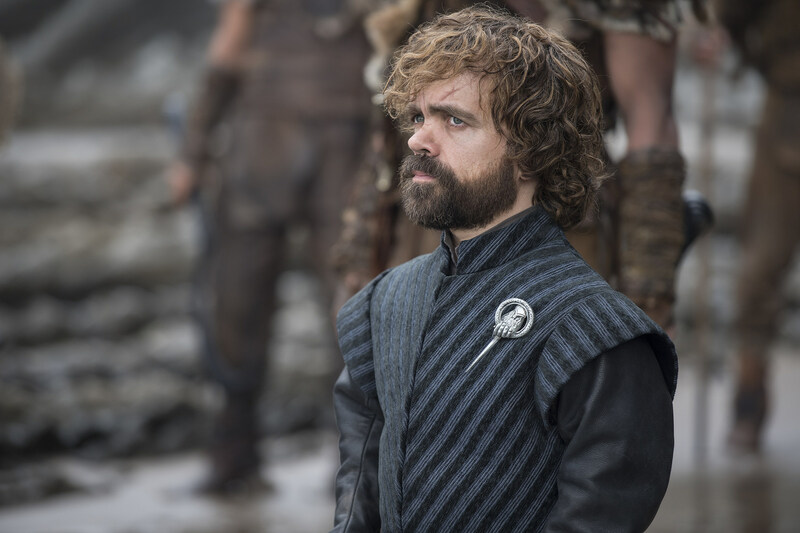 We at least have a better idea what Cersei’s gift might be, but what mistakes do we suppose Jaime is learning from? 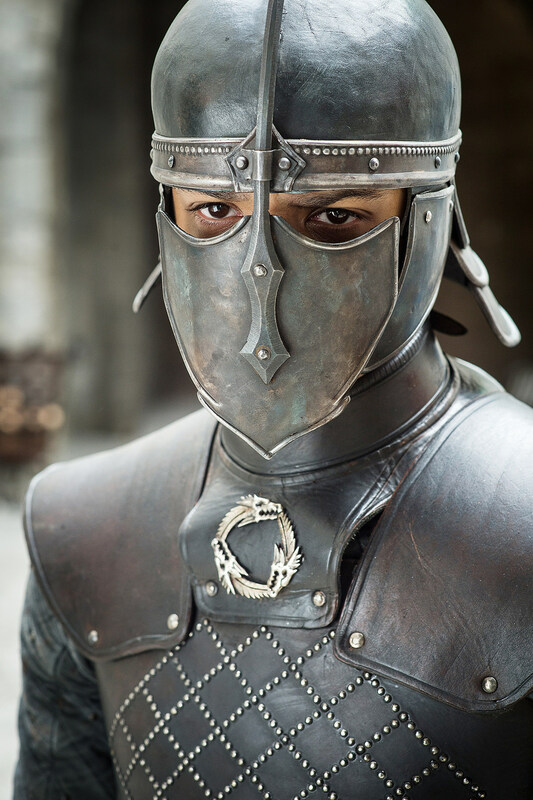 Check out the photos again above, and stay tuned for more from “The Queen’s Justice” this weekend. 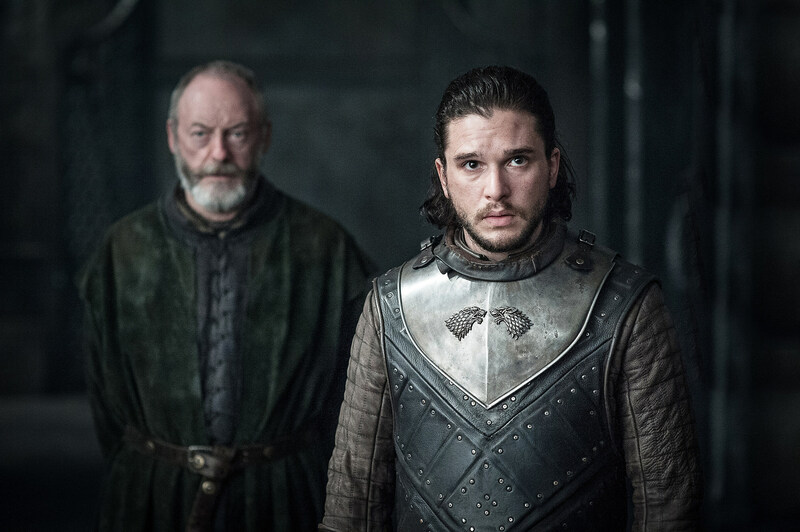 ‘Game of Thrones’ Death Rankings: Which Characters Won’t Survive Season 7?